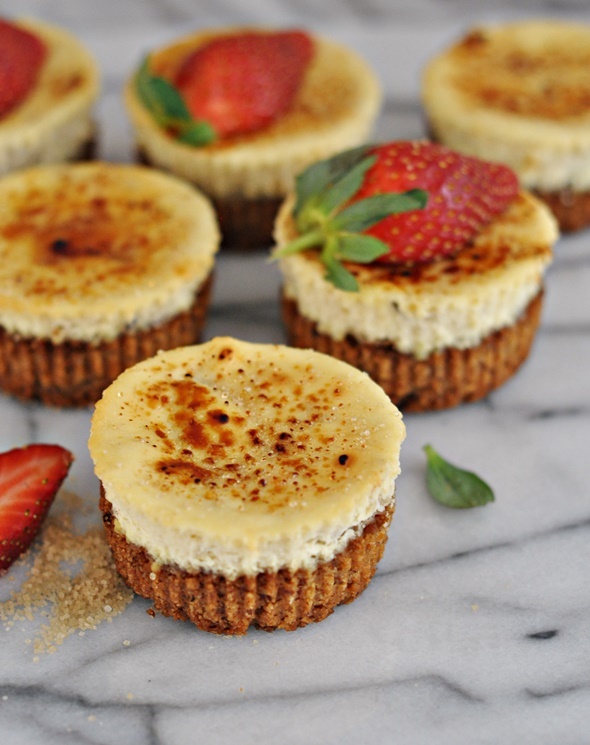 Gluten Free Banana Mini Cheesecakes with Caramelised Sugar Topping + A Personal Update!!!! For a person who loves stability, I went through a lot of changes in my life for the past six years. My beloved and I moved around mainly for his job and that’s fine because sometimes you just have to move wherever the job is. By living in different places, it gives us the chance to explore, meeting new people whom eventually became our lifelong friends and experiencing the local cultures. You may wonder where I am going with this. Well my friends, my beloved and I will be MOVING TO MELBOURNE in a couple of weeks’ time. From the day we’ve made the decision to move, our lives have been inundated with to-do lists, packing, liaising with movers, property agents and cleaners, as well as getting my wisdom teeth removed. It felt like everything was heading towards me at once! It was stressful, tiring and certainly putting my multi-tasking skill up for a challenge! As I was slowly ticking off my to-do list, I wanted a pleasurable distraction. I felt like baking and uncharacteristically, my beloved felt like cooking. It seemed like we were at the point of willing to do anything but packing ha! While my beloved has been diligent in making his signature bean curries, I have been enjoying baking more than usual. While I will never get tired of eating banana breads, I do feel like I have exhausted many banana bread recipes on this blog. So I am excited to share a banana recipe that hasn’t been feature before – a banana cheesecake. I confess I don’t have much appreciation for cheese cakes, especially the store bought ones until I have started baking them myself. Isn’t this strange? Preheat oven to 180C for convection oven or 160C for fan force oven. 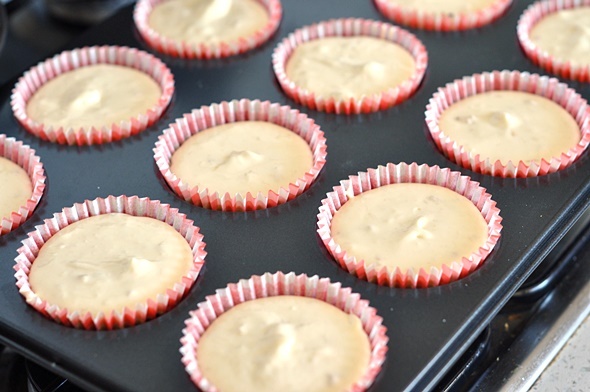 Line muffin pan with patty pans and set aside. Add almond meal, butter and brown sugar. Mix until well combine. 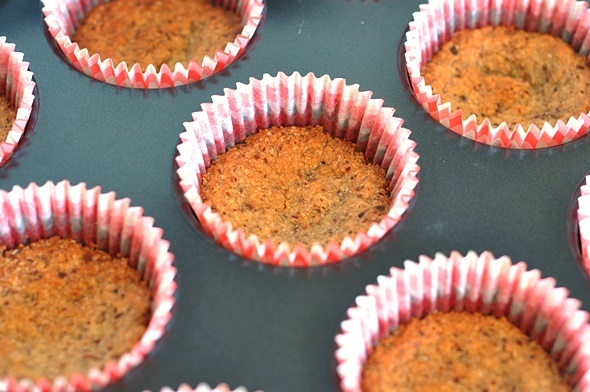 Press the almond meal crumbs into the base of patty pans and bake in the preheated oven for 10 minutes or until lightly golden brown. Set aside to cool. Preheat oven to 160C for convection oven or 140C for fan force oven. Mash banana with lemon juice and set aside. 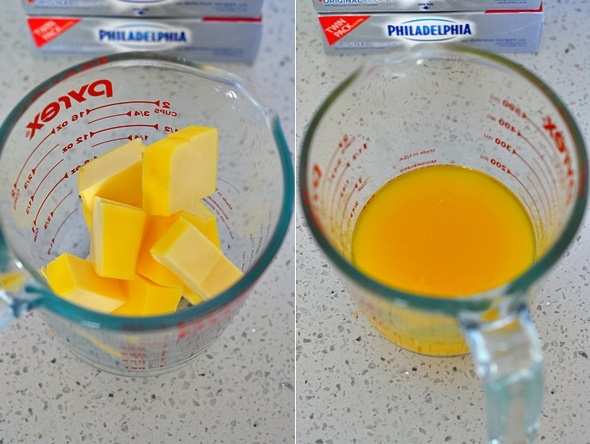 In a large mixing bowl, cream Philadelphia Cream Cheese and caster with a handheld/stand mixer until light and fluffy. Add eggs, one at a time, and beat until well combine. 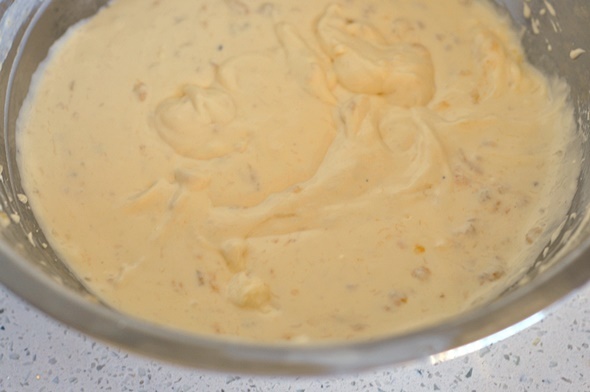 Stir in the mashed banana into the batter until well mixed. 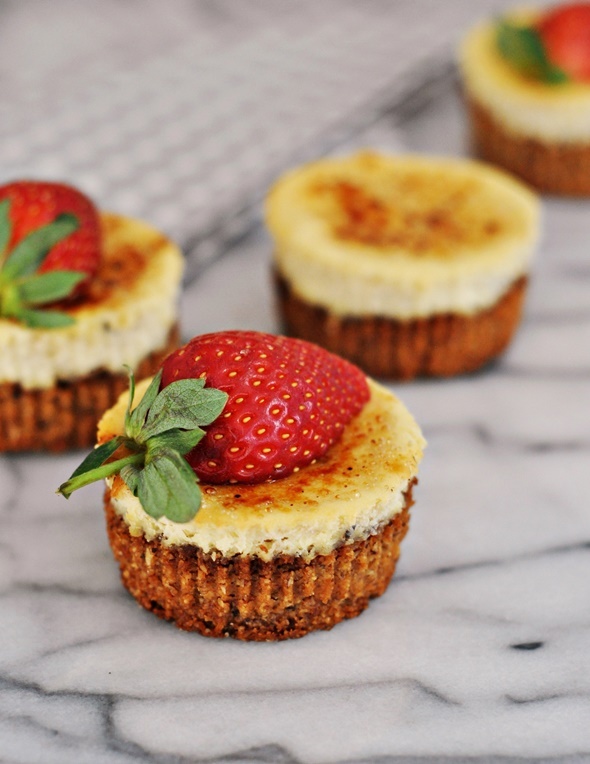 Dollop the cream cheese batter onto the cooled almond meal crust and bake in the preheated oven for 35 minutes, or until the surfaces of the mini cheesecakes are light golden brown. Transfer the cheesecakes onto a plate to cool completely. Refrigerate the cheesecakes for one to two hours until they are set. 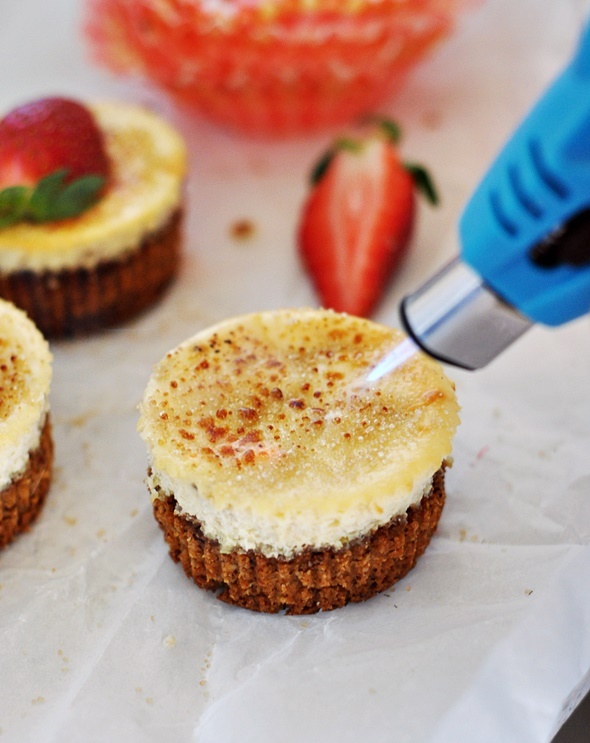 Sprinkle a half teaspoon of sugar on each mini cheesecake and caramelised the sugar with a blow torch. Finish off with halved strawberries for decoration and serve immediately. In the meantime, please bear with my sporadic posting schedule. I can’ t wait to return to my regular blogging routine soon, as well as reveal the exciting collaborations which I have been working on! Hopefully the next time we speak, I will be in Melbourne and sharing a dish from my new kitchen. Good luck with your move – Australia is an amazing country and Melbourne is a great food city. We lived in Sydney for 20 years and loved it. 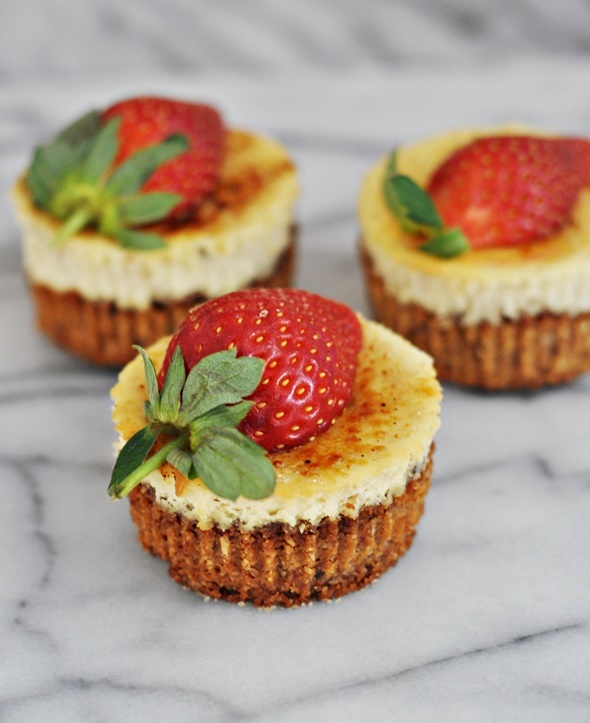 ooh these mini cheesecakes look seriously cute and so delicious! definitely jealous of your move to melbourne too! Thanks Thalia! What I like about these mini cheesecakes is they can be transported easily with a muffin carrier (my favourite new toy!). I am looking forward to taste and be inspired by a melting pot of cuisines over there! Will be thinking of you and praying for a smooth transition. I’m right there with you when you say you need stability. Every huge transition in my life was met with much difficulties and trying times. On the other hand, I hear Melbourne is quite an amazing place ;). I, too, am not a big fan of cheesecake, but this one looks super easy to make! (and a lot healthier). These sound great! Keen to try them. Just have one question, what do you do with the banana once you’ve set it aside?